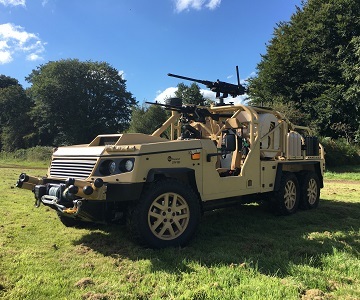 ‘High speed through harsh environments’ is the LRV‘s strength, offering the user an ideal lightweight rapid intervention vehicle for special forces, border patrol, reconnaissance or strike forces. The proven, rugged reliability of the Land Rover Discovery base platform combined with Supacat’s defence specific enhancements provides superb levels of performance, supportability and safety. The LRV’s size and weight enables effective air portability, including tactical CH-47 internal loading. Whilst primarily fulfilling light force reconnaissance and strike concepts of operation, low-weight armour solutions can also be fitted as an option. A variety of communications and weapons systems can also be integrated depending on the customer’s requirements. The LRV is the only vehicle that can be converted from 4×4 to 6×6 in this weight category, globally. 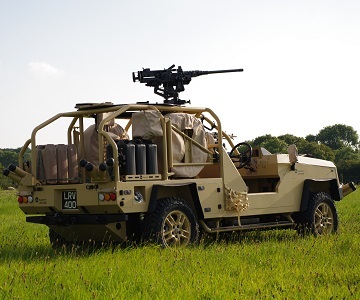 The Light Role Vehicle has become the latest addition to the Supacat range of high performance off-road military vehicles providing tactical CH-47 internal capability.